Education and literacy are the foundation to helping communities grow and develop themselves. Through SIL’s Multilingual Education (MLE) and Literacy programmes we aim to empower local language experts, teachers and government agencies to deliver excellent education and literacy programmes in their mother tongue. Together with government partners, SIL Ethiopia oversees several major multilingual education projects which build the capacity of local language experts in 14 languages. We help produce national curriculum materials in these languages, together with supporting material such as books, stories and literacy primers. We train translators, writers, teachers, educators and officials with a goal of building capacity for sustainable development of their own languages. SIL Ethiopia, in partnership with the Norwegian Missionary Society (NMS), has been working for the past five years among the language groups of the Mao Komo communities. Situated in the far west of Ethiopia, the Mao Komo communities speak the languages Gwama, Komo, Ganza , Seze and Hozo. 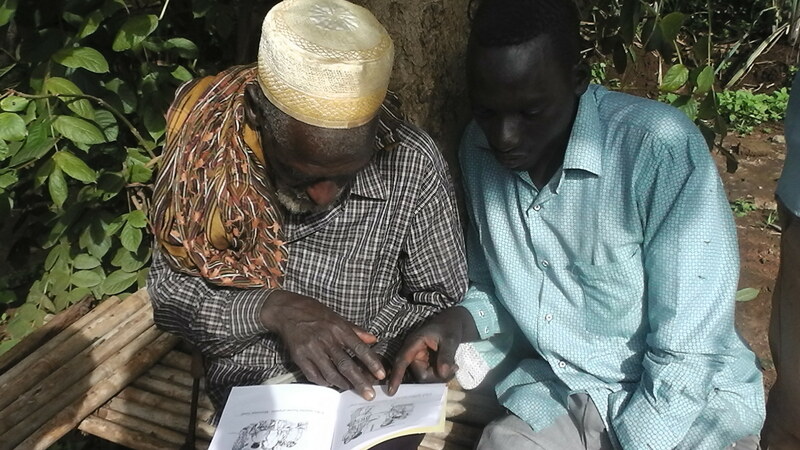 Linguistic work has supported the development of initial written materials and reference works such as word lists in Gwama, Komo and Ganza. Gwama youngsters played a key role in the filming process. Take a look at our short film ‘My Father’s Message’, which documents the contemporary culture of the Gwama and Komo. Please click on the links below to download our EMIC leaflets both in English and Amharic.